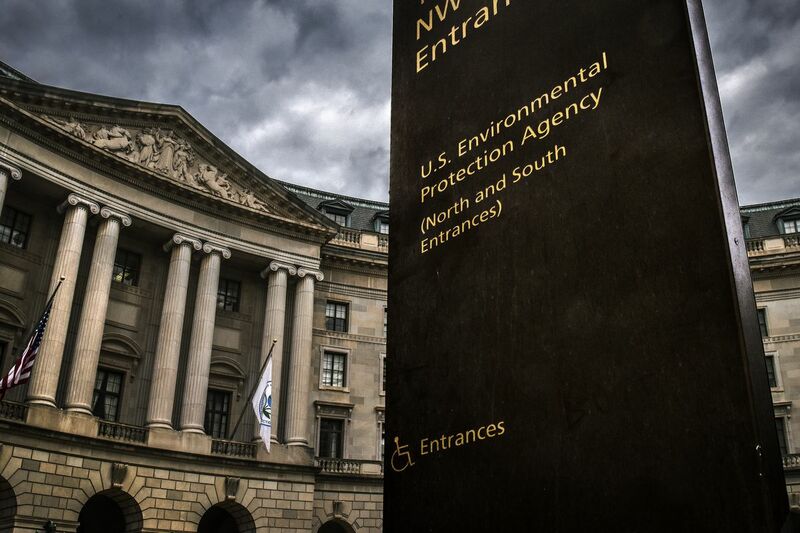 The move may open the door for greater industry influence over science at the EPA. Environmental Protection Agency Administrator Scott Pruitt has effectively fired more than half of an advisory board tasked with making sure the science conducted and evaluated at the agency meets rigorous standards. Greenwire is reporting that the 12 dismissed advisers — academic experts in various fields of environmental science and policy — were nearing the end of a three-year term, and were told Friday their positions would not be renewed for a second term. Which came as big surprise. “Today I was Trumped,” Robert Richardson, an environmental economist at Michigan State University, tweeted, after learning of his dismissal. Richardson says he and the other board members were expecting to serve another term — as their predecessors had. “I’ve never heard of any circumstance where someone didn’t serve two consecutive terms,” he told the Washington Post. It “just came out of nowhere,” he told Science. By expanding the applicant pool, Freire likely means opening up the advisory board to more members of industry (it’s mostly been filled with people from academia). “We want to ensure fair consideration of all the nominees,” he told Vox, noting that people who have previously served on the panel are not outright excluded from the process. Even so, members of the scientific community are likely to see the dismissals as yet another attack on scientific expertise from the Trump Administration (which has called for sweeping cuts to biomedical research and other sources of research and development in the federal government). “Academic scientists play a critical role in informing policy with scientific research results at every level, including the federal government,” Rush Holt CEO of the American Association for the Advancement of Science, the nation’s largest science advocacy group, said in a statement. If this sounds familiar, it’s because in March, Republicans in Congress were calling to “reform” another EPA scientific board — the EPA Science Advisory Board. In March, the House of Representatives passed a bill that seeks to make permanent changes to the larger Science Advisory Board. The EPA Science Advisory Board Reform Act — which has yet to be taken up by the Senate — would prohibit anyone who has an ongoing research grant from the EPA to serve on the board, and prohibits board members from applying for grants for three years after they step down from the panel. The stated intent of the bill: to make sure the panel members aren’t weighing in on grants or decisions that impact their own research. Currently, the panel is mostly made up of scientists who work at universities. The law could have the impact of disincentivizing academic scientists from joining the panel, and encouraging those who work in industry. And it’s no secret that Pruitt wants to shake up the EPA to be friendlier to industry interests. Though, as Brad Plumer noted for Vox, Pruitt is limited in his ability to completelyreshape environmental regulation. Sure, he can appoint new science advisors. But “EPA regulatory changes have to go through a laborious rulemaking process and can be challenged in court by green groups,” Plumer writes. Both boards are designed to provide independent scientific advice and expertise to the EPA administrator. It’s clear that Pruitt, and like-minded lawmakers in Congress, doesn’t want to hear it. This entry was posted in Environment, EPA, Politics, Trump. Bookmark the permalink.